After a tech industry career in project management operations and recruiting, Karen Nemeth decided it was time for a change. 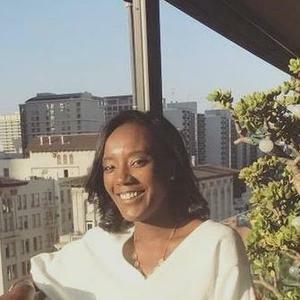 She was ready to build out her own app ideas, so inspired by several friends who were developers, she figured the best route was to learn to code herself. See why Karen moved away from the U.S. and ended up learning to code at SPICED Academy coding bootcamp in Berlin. Read about her learning experience at SPICED Academy and see how she landed her new job as Product Owner at Genie! What was your educational background and your last career path before you decided to attend SPICED Academy? I majored in civil engineering during college, then worked as a construction project manager at museums around New York City. I loved it, but there were a lot of problems, so I left. Then I went into a project management role within a software company. I also worked for the Huffington Post as a project manager managing the machine learning, natural language processing, and video chatting teams. Then they transferred me into recruiting. I also worked at Facebook in New York for a little while, then decided to move to San Francisco. In San Francisco, I started consulting for various different startups. I worked with a lot of startups from the graduate programs at Stanford where students used their master's degrees to launch their own companies. I also worked for the company Airtime founded by Sean Parker where we created a new video chatting social network. Wow, that is quite a career trajectory. Why did you want to switch careers and learn to code? I worked in operations and recruiting, and always had so many app ideas that I wanted to build myself. Most of my friends were developers, so up until then, when I wanted to do something, I could go to them for help. But eventually, they all got real jobs and no longer had time for ad hoc side projects. My lack of coding knowledge had been such a limiting factor in my life, but I knew I could do it. I just needed a good introduction to learn how to code. I moved to Spain for a little while, then decided now's the time. I found SPICED and moved to Berlin. Did you try to learn to code before attending SPICED Academy? Yes, a little bit. I had been coding on the front end of things since I was probably 13 years old from the Zynga days before Facebook, and we got to program our own sites. When I was at Airtime in Silicon Valley, I tried to learn Python, but I found I didn't have the self-discipline to teach myself. It's good to have someone behind you helping you and making sure you're on top of things. I found online blogs didn’t have a good layout of what projects you should be doing at any given time. While there was a good amount of resources and people to ask for questions, the online community is very extensive but not the most welcoming place. It's really great to have teachers dedicated to passing off their knowledge. How did you decide between attending a coding bootcamp versus going back to a university? Being from the states, I couldn't really afford another four years in school. There's no way I could’ve afforded the price of schooling, and four years out of the job industry. Master's degree programs are $100,000 – there's no comparison to a $10,000 bootcamp. I could’ve gone to university here in Europe, and that would’ve been free for the most part, but it's just not the same dedication towards the skill set that you’d have in the industry. As a recruiter, and working with developers, I've noticed that people who come out of bootcamps have been taught the skills they need to know on the job – which is what you need in the real world. An academic master’s degree is more about algorithmic development and low-level skills. For 90% of development jobs, a bootcamp is exactly what you need. A bootcamp was a much better choice from an efficiency perspective. How did you decide to take a chance on attending a Berlin coding bootcamp? Why did you decide to study internationally? I came to Spain because of my boyfriend in all honesty. I was able to get a remote job with a company called Hired so we moved to Spain. Part of living and attending the school in Europe was because of him, but also because I liked the lifestyle a lot better. The food feels healthier and it's a lot less stressful. It's a nicer quality of life than it is in the States. When you've lived in New York it’s hard to live anywhere else, but I felt Berlin had that essence. Berlin really does feel like Brooklyn, but you can actually afford to enjoy your Friday night. It's a fun city with so much going on. The people are free to be themselves. In that respect, I'm really happy that I came here. I highly recommend SPICED Academy to anyone. Were you looking to learn a specific language when you were researching bootcamps? Did you consider any others outside of SPICED Academy? And as far as other schools, I looked at one school in Lisbon and one in Barcelona, but they were in Ruby. It was a choice of location as there's a lot more going on in Berlin, so if you're going to get a job somewhere, I think Berlin is probably the third largest startup scene in Europe besides Paris and London. I want to know about the SPICED Academy application process. Was there an interview? What did that process look like and how long did that take? There was a short questionnaire that we had to fill out about what we were looking for and whether we had any portfolio work. Then the Director of Programs, Shilpa Melissa Rodrigues, scheduled an interview. We discussed what I had done previously in my career, what I wanted to get out of the school, what I had done before in trying to code and what I could bring to the table. There was an understanding that the school was new, so we were trying to help SPICED determine their curriculum. How many people were in your cohort and was it diverse in terms of gender, race, and life and career backgrounds? There were about eight people in our cohort. And yes, it was pretty diverse. I think at the beginning it was a 50/50 women-men split. So they really did strive to hit that number. I had come from a tech background and there was another person who came from a block chain background. There was an architect, an artist, two people from finance, one from marketing, and there was another person from the journalism field. It was interesting. Because we had all come from different areas, Shilpa had really picked up on how we all were really interested in using our coding in order to help our chosen industries. She put together meetings once a week with someone from the Berlin tech industry who came in and talked about how they coded within that industry, and how it had improved. It was wonderful because then you start to make the connections and see what's happening in the tech scene. It was a great introduction. How many instructors did you have total? There was one main instructor, and a few TA's. I'm so happy because SPICED Academy has wonderful teachers. The main teacher, David Friedman, has probably 20 years of experience – coming from Yelp and other very large companies, he really knew everything. I've worked with coding schools through some of my consulting, but I hadn't really met a coding instructor who was as knowledgeable or as passionate about coding as he is. You’ve been in the tech industry for a while, so I'm wondering if your perspective has changed now that you’ve been to a coding bootcamp? How was that experience as a woman in tech? Honestly, I've been in engineering schools my whole life. For the most part, I've been in engineering schools since 6th grade. I've always been the only girl. I've never been to a school that has more than 30% women. This was actually the highest percentage because it was 50/50. There's a lot of pain with it. I have horror stories from my time in San Francisco, but I think Berlin's pretty good about it. For the most part, I find zero sexism in the Berlin tech scene, which is really nice. Can you tell me about a typical day at SPICED Academy? We typically started around 9am. The first part is a lecture, and that would typically range from two hours to the whole morning until lunchtime. Then we’d have small projects. In the beginning, there were very small exercises that would relate to what we did in the lecture. Then in the afternoon, we would usually have another lecture and then more small exercises. As we learned more and more, it transitioned to the one lecture in the morning, then you’d have one project that you’d complete throughout the day. Then it started becoming one lecture in the morning, and then one project that would last the week. On Wednesdays, they would add another lecture with another idea, and you’d add a second part to the project. It grew incrementally as you learned more and more. SPICED was really flexible if you had to leave for any reason because it was a lot of project work. That was really nice because a lot of people did have interviews or meetings to go to. Everyone was working hard and trying to help each other, and the teachers were there, or on slack to answer any questions that you had. Did you have a favorite project that you worked on at SPICED Academy? We made a project that was a petition site and I'm pretty sure that we used jQuery for it. You would make a petition and then have people sign the petitions. That one was fun because we worked with a canvas element and we could draw things, see how the drawing techniques worked, and we were able to interact with it. It was probably one of the more fun projects I've seen because everyone's petition was completely different. Tell me about the career prep or job search help that SPICED Academy offered. Once every few weeks they hosted different meetups and happy hours with people from the Berlin tech scene. They also offered tutoring sessions for the general public to come and get an introduction to what the SPICED teachings would be. It was part of a larger organization within Berlin so it was a great networking opportunity. They offered resume prep and interview practice. The interview practice by the head instructor was really great because he’s done so many interviews during his career. Once a week he would give us practice interview questions and ask them exactly like he would in an interview setting. He helped us get into the thinking behind whiteboard coding and what interviewers were looking for, which can be tricky for people who are new to coding who’ve never witnessed this type of interview before. It’s really an oral examination and it's more about your logical reasoning than it is getting the exact correct answer. He was really great about emphasizing what they were looking for in those situations. At the end of the course, in the presentation of the final projects, they had a lot of different companies come. I know a few people that got hired simply through that experience. What has been the biggest challenge or roadblock for you in your journey to learn how to code? It's a very personal one, but it's been self-discipline. It hasn't been something that's been absolutely required of me because I've always had someone there who would be able to code when I had the idea. I simply hadn't needed to grow my career. I'd still be perfectly fine if I hadn't learned how to code. So I'm very fortunate to say that that is my road block- not having something pushing me to go forward. What are you up to now that you’ve finished SPICED Academy? I actually just signed on to a new job earlier today. I'm working at a company called Genie, and we’re part of a startup that is branching off of Telefónica, the largest telecommunications firm in Europe. We're building an IoT ecosystem for developers and companies that are looking to quickly build new internet consumer products. So if you're Nike and you're building new shoes that you want connected to the internet for all types of data tracking and such, rather than hiring a whole team of embedded engineers, security engineers, and people who can write off systems, you could just come to our platform and within 100 days have the whole thing ready to go and launched. It's a new standardization for the internet of things. Congratulations! What's your job title at Genie? I'm the product owner on the developer platform. It’s a platform for all the coders to interact with, from an individual tinkerer who is playing around with an Arduino in their home office, all the way up to the engineers working at Nike who are actually building out these shoes. So I'll be writing documentation, working to define what this software development kit is going to look like, deciding how these software developers will be interacting with the product, and traveling a lot to different conferences to speak with developers about using our platform to build new ideas and new products. This sounds like a great role for you given your background! Were you looking for a specific industry when you were thinking about what types of jobs you wanted after SPICED Academy? Not in particular – I honestly wasn't even looking for this job. I marked myself as active on Angellist, but that's all I did, and they contacted me. In the end, I've always been about really pivotal infrastructure movements, so that's why a lot of what I did in the early days was in big data. Working in WebRTC and video chatting had all been very infrastructural ideas behind it. Even at Facebook, that's a lot of what I did. I like looking at the core elements of what's going on, so I knew that I had to be in a field like this and not just create another app. I had hopes that it would be something in VR or AR as that's where my personal interests lie, but this is so closely tied. Just do it. I think that if you're debating it and you think that it's the right thing to do, just splurge and do it because when you think about it, the gain that you're going to get from it is just incredible. If you're feeling stagnant and you think that a life in coding would be better for you, you have to do it because it gives you the skills to pursue anything that you want. If you come from a background in journalism, if you don't like any of the journalistic outlets out there, you can build your own once you go to coding school and say, "screw it," and just do your own thing. You could do that from any industry that you're in. It doesn't matter. 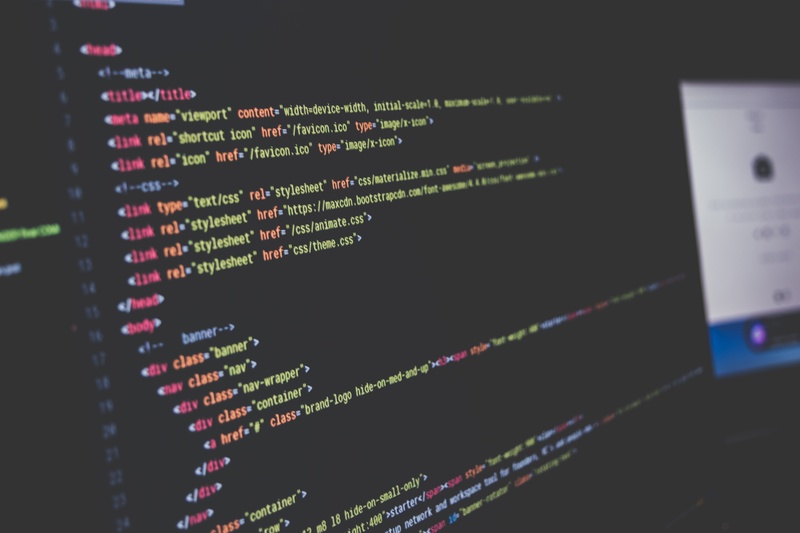 Coding is going to become a new required language within the world and so even if you're just looking to get a new job at a startup or at one of these larger firms, it's so much fun. There's so many possibilities when you're in this industry for a little while that you can't really get in many other industries. If it's about the money, yes some bootcamps can be expensive, but in the end, the amount of money that you're going to make in this field is going to make it worth it 100%. I think you just have to do it. And once you get into it- Google everything. You can bug Google as much as you want and Google will not get mad at you. Do you have any advice about learning to code internationally? SPICED Academy itself is really a great program to go to especially for Americans looking to do a bootcamp abroad. Living in Berlin is much cheaper than living in just about any other city in the States. I highly recommend it because you can fit in the course portion of it into the required visa period, so you don't even have to worry about getting a visa to be here. For three months, you could live in Berlin. It's a really great opportunity! Read a SPICED Academy review on Course Report. Check out the SPICED Academy website.